Tan Yinglan is Venture Partner at Sequoia Capital and CEO of Sequoia Capital (India) Singapore Pte Ltd. He is the first hire by Sequoia in Singapore. He helped set up the Singapore office for Sequoia and oversee investments for Sequoia in the region. Sequoia’s recent portfolio in the region include Tokopedia, Carousell, Gojek, Appier, Kfit, Pinkoi, Dailyhotel, Zilingo and 99.co. He serves as Board of Commissioner of PT Tokopedia, as well as Member of Board Directors of Appier Inc, Practo Pte Ltd, Citrus Payment Solutions Pte. Ltd, Calm.io Pte Ltd (acquired by Nutanix), Pine Labs Pte Ltd, Sirion Labs Pte Ltd (acquired by PayU), Zilingo Pte Ltd, Daily Co. Ltd and several others. He has also helped Airbnb, Stripe, Skyscanner, Whatsapp, Dropbox, Evernote, Zomato, Servicenow, Palo Alto Networks expand into the region. 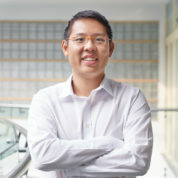 Prior to joining Sequoia Capital, Yinglan was a member of the elite Singapore Administrative Service, where he served in a variety of positions in the National Research Foundation, Prime Minister’s Office (where he was part of a team that managed a S$360 million fund for innovation and enterprise), Ministry of Trade and Industry (where he was the deskhead for Economic Development Board Investments portfolio) and Ministry of Defence (where he was the recipient of the National Innovation and Quality Circle Award). Tan Yinglan had previously been the founding Director of 3i Venturelab (China) at INSEAD, a joint-venture between private equity firm 3i (LSE:III) and INSEAD. Yinglan was also the Special Assistant to the Chief Economic Advisor of the World Bank, as a Milton and Cynthia Friedman Fellow. Yinglan is currently an Adjunct Associate Professor at National University of Singapore. In his spare time, he is also a Board Member of Hwa Chong International School (where he also serves on the Investment Committee), Advisory Board Member of the Singapore-MIT Alliance for Research and Technology (SMART) Innovation Center, and a member of the Board of Imagineers for the Imagineering Institute. He also serves on the Singapore Government’s Pro Enterprise Panel (headed by Head of Civil Service of Singapore), the Committee on the Future Economy’s Sub-Committee on Future Corporate Capabilities and Innovation, and Strategic Research Innovation Fund at Nanyang Technology University (where he serves on the Investment Committee), and the Technology Enterprise Commercialisation Scheme Evaluation Committee for SPRING Singapore. Yinglan had also been a faculty at INSEAD where he developed and taught an entrepreneurship module for INSEAD MBAs and an Adjunct Assistant Professor at Nanyang Technological University where he taught the Masters program in Technopreneurship & Innovation (Chinese). He has also taught at Stanford University, the UC Berkeley-Nanyang Advanced Management Programme, the NTU-Tsinghua Executive Programme and at the Advanced Management Programme at Singapore Management University and guest lectures at Fudan and Tsinghua University. He has conducted customized executive programs for executives in Apple, Cisco, Haier, Tencent, Nokia Siemens, DBS, Singtel, SKF, 3i, UBS, Metersbonwe, the World Bank and for senior government officials in China, Switzerland, Denmark, Finland, Armenia, Brunei, Lebanon, Singapore, Laos, Philippines, Sri Lanka, South Africa and Nepal on topics on innovation and venture capital. He is a member of Singapore Business Federation’s Focus Group on Innovation and an International Selection Panellist for Endeavor. Yinglan has been named as a World Economic Forum (WEF) Young Global Leader (2012 – 2017), WEF Technology Pioneers Selection Committee Member (2015 – 2017), Milken Institute Young Leaders Circle (2016), WEF Global Agenda Council member on Fostering Entrepreneurship (2011 – 2014), “Top 40 under 40” leaders by Prestige Magazine (2015), World Cities Summit Young Leader (2014), a Leader of Tomorrow by the St Gallen Symposium (2010), Geili Fellow (2012), 100 Global Thinkers by think-tank Lo Spazio della Politica (2011), TIE Charter Member (2013), Paul Harris Fellow (2012), Outstanding Youth of China Synergy Program (2007) and Dragon100 Young Chinese Leader (2006) and a Leader of the Next Generation at the Symposium for Leaders of the Next Generation (STARS) in 2011. In 2010, Yinglan was also named as a Kauffman Fellow, a fellowship which identifies the next generation of global leaders in the venture capital industry. Yinglan is the author of 3 books, namely, The Way Of the VC: Having Top Venture Capitalists On Your Board. (Wiley, 2009), Chinnovation – How Chinese Innovators are Changing the World (Wiley 2010) and textbook New Venture Creation – Entrepreneurship for the 21st Century – An Asian Perspective (Mcgraw Hill 2011). His book, The Way Of The VC, has been named by Forbes columnist Marc Kramer as amongst the “World’s Best Business Books”. Chinnovation has been ranked #1 on Amazon.com in the Business & Investing (International) category. At Carnegie Mellon University, Yinglan finished two Bachelor Degrees, a BS(ECE) and a BS(Econ), in 3 yrs and graduated top in his class, as the William L. Everitt scholar. He also received a Masters in Management Science and Engineering from Stanford University. A Certified Risk Analyst, Yinglan also completed post-graduate work at Harvard Business School and Harvard Kennedy School (under the WEF Young Global Leaders Executive Education program) and was a doctoral candidate at Harvard University as a JFK Fellow. Yinglan has a wife and three kids, which his life revolves around. "Education is the great leveller and it is all possible because of Great Teachers."